Torch Trust is launching Journeying With, a distinctively Christian befriending service for people with sight loss, at the Christian Resources Exhibition (ExCel, London, May 19-22). The service is being rolled out across the UK in response to a large and growing need for people with sight loss to have someone who will come alongside them at their times of greatest need. Every day in the UK, 100 people learn they are losing their sight. Most receive little or no emotional support at what can be a traumatic time. It is not unusual for people to experience sight loss as something like a close-family bereavement. Loneliness and depression are a real risk. Torch is building a national network of trained volunteers to come alongside people dealing with sight loss and offer emotional, spiritual and practical support. Torch Trust CEO Gordon Temple said "So many people who are losing sight fall down the cracks between health and social care – we need to be there, reaching out with the love of God and journeying with people who are struggling with sight loss and all that follows from it." Torch has run already a pilot version of the Journeying With service, with great success. One of the first clients was Isabel from Northern Ireland, supported by befriender Maureen. 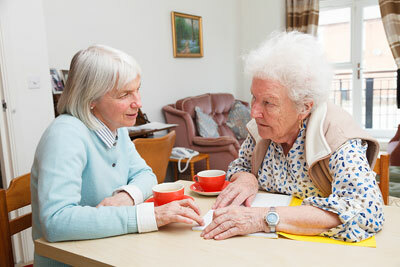 After using the service Isabel had this to say: "I was so lonely; I didn’t have anyone at all to talk to about what’s happening to my sight… Maureen has been a real friend. She let me talk and she listened. She’s a really shining person!"